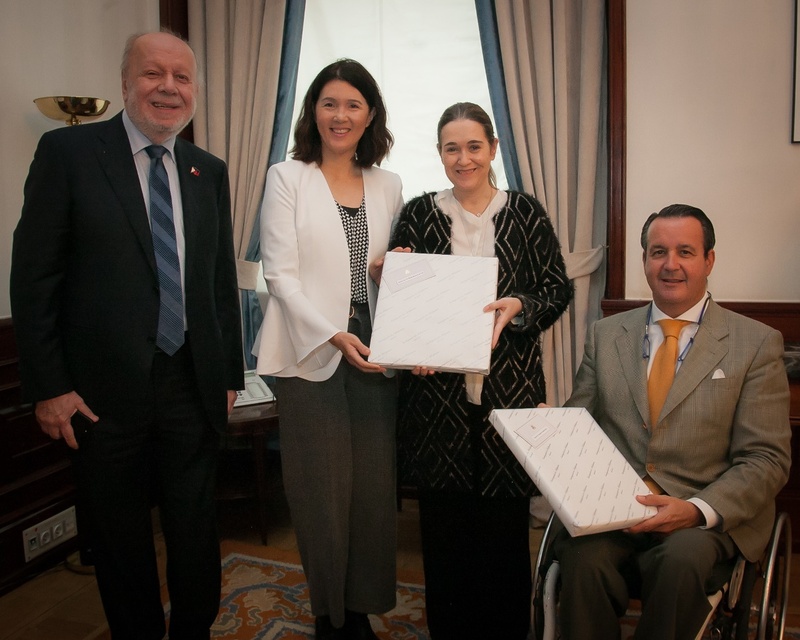 Deputy Speaker of the House of Representatives Pilar Juliana “Pia” Cayetano, together with Ambassador Philippe J. Lhuillier, met with members of Spain’s Congreso de los Diputados, Ignacio Tremiño Gomez and Marta Maria Rivera de la Cruz, to explore ways to strengthen links between the Philippines and Spain in the fields of education, sports and culture. House Deputy Speaker Cayetano explored the possible expansion of Spanish language programs in the Philippines and ways to increase the educational program exchanges between the Philippines and Spain. House Deputy Speaker Cayetano´s meeting with Deputy Tremiño also touched on government policies on persons with disabilities. Deputy Tremiño shared that, as the spokesperson for the Committee on Comprehensive Disability Policy, he encourages basic sports activities among disabled persons. House Deputy Speaker Cayetano shared her advocacy to support children with disabilities through her foundation, Gabriel´s Symphony. She expounded that this foundation was named after her late son, Gabriel, who was born special. Both parliamentarians agreed to continue the exchange of views and good practices in this regard. The meeting with Deputy Rivera, on the other hand, recognized the need to promote deeper knowledge on the Philippines among Spanish people through increased high-impact projects. Deputy Rivera expressed the willingness of her office to assist in these projects. The year 2017 marks the 70th anniversary of the establishment of diplomatic relations between the Philippines and Spain. These meetings between Philippine and Spanish parliamentarians are a manifestation of the strong and friendly ties between the two countries.